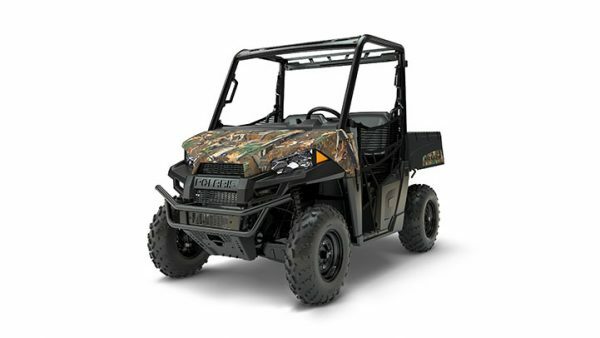 The Polaris Ranger 570 mid size can seat 2 people, and is equipped with a full roll cage ROPS, Seat Belts, and passenger grab bar for enhanced safety. Ranger units have a large utility bed, and a tow hitch for towing small trailers and work equipment. We also rent small tow-behind trailers for hauling more equipment and materials. The mid-size model is small enough to fit in most full-size pickup beds. We rent ramps for loading the unit into your truck as well. We Rent Flatbed & Enclosed Trailers as well to transport the UTV. Rent the Ranger 570 for use on your job site, outdoor work, hunting, camping, trail riding, The rangers are even great in the Dunes!